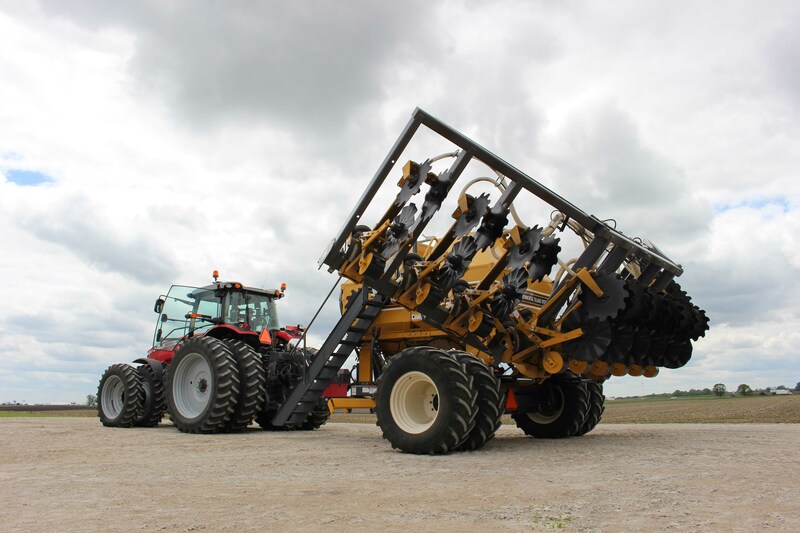 Spring tillage and planting are underway across the U.S. and Canada so we checked in with some of our customers - new and seasoned - to find out how things are shaping up in the field. First up is Dennis Smith from Ames, Iowa. Dennis has been strip-tilling corn and soybeans for 11 years. He began his conservation tillage journey with a SoilWarrior prototype and is now on his fourth machine. 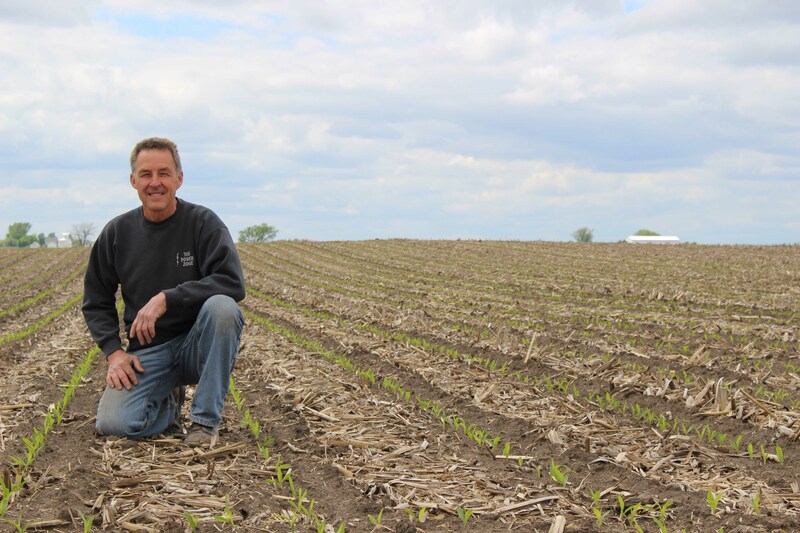 Though he tweaks his crop and fertility plans a bit each year, zone tillage with the SoilWarrioris a consistant winning combination for his farm business. Q: What type of tillage were practicing prior to strip till? A: Conventional Tillage. I was tired of sitting out there in a tractor for mindless hour after mindless hour of disk ripping then coming back in the spring to level. Those were such monotonous and mind-numbing tasks, I thought there’s got to be another way. I sold my disk ripper and field cultivator that first year, so I didn’t have a chance to go back. You can get much more out of the SoilWarrior than dragging a field cultivator around . Q: What was your spring fertilizer mix? A: Formula mix that was 100 lbs. 11-52-0, 75 lbs. AMS, 25 lbs 0-0-60, applied 200 lbs of that formula/acre. Side-dressed 15 gals UAN solution along with 2 gallons of 43 cane molasses in front of the machine. A: I applied half the rate of Outlook herbicide along with 24D behind SoilWarrior in front of planter. Q: What benefits have you seen from strip-tillage? A: There is a lot of flexibility with fertilizer application spring vs. fall or both. 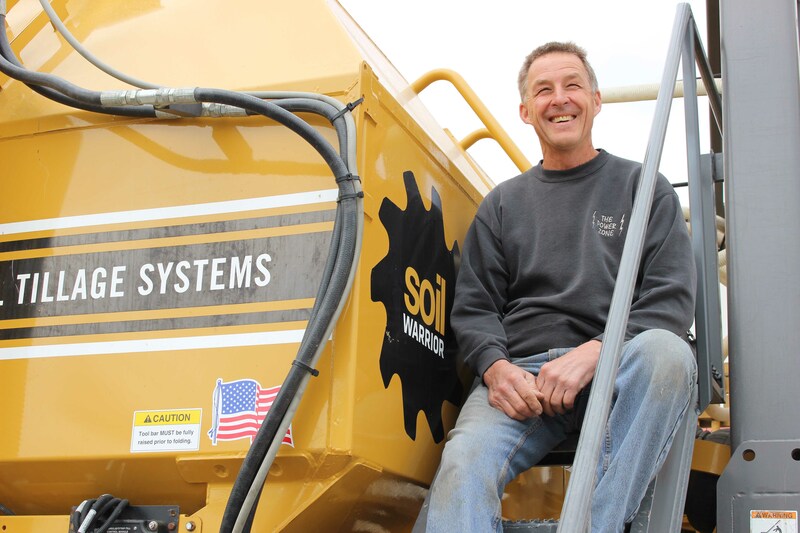 The SoilWarrior offers the ability to apply liquid or dry fertilizer because you can switch out tanks. My yields have been great. In Story County, where I live, the average corn yield came in at 186 bu/acre. I have it beat by 20 bu/ac. The earthworms have helped us improve drainage. We’re saving money on fertilizer because of the right placement across the field and in the zone. A: This practice requires me to be a better manager. Long-term thinking is also key. One year is worthless. Year number four and five, you will get something out of it. Now that we’re getting normal weather, it really, really shines. Q: What has been your experience with the SoilWarrior? A: The SoilWarrior is as solid as a rock. I’ve never been worried about my machine. We do not pick rocks. I haven’t picked in 10 years. The rocks stay down, you just don’t see them. It's worth the cost to use the right equipment. A disk ripper, field cultivator, and fertilizer spread would cost more than I paid for my SoilWarrior. Smith discovered after several years of conservation tillage his soil health has improved to the point he doesn't need to use the cog wheel to manage hardpan or compaction. "Soil crusting is a thing of the past. Wind erosion is a thing of the past. I don’t even worry about it. There’s talk of a hot dry summer this year, and I say “bring it on”. My soil will stay cooler and will hold its moisture."